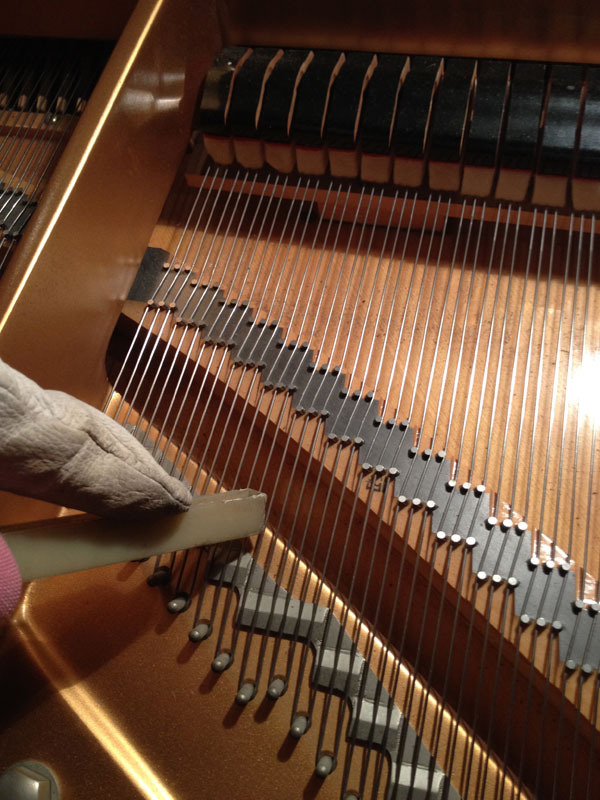 2/ Tapping strings to the bridge (both sides of the bridge: distal & speaking length sides). This procedure is necessary, of course, because string drag (thru bridge pin angle & over bridge) means that the distal portion moves least, and sometimes hardly at all – thus leading to a discrepancy in string tension in the various string portions. 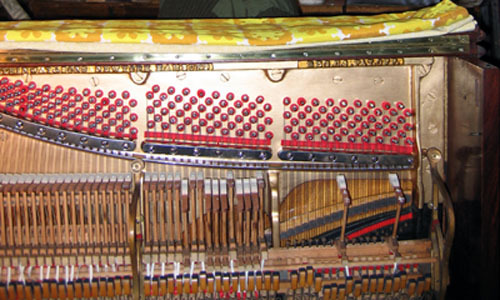 Though these procedures are usually done at times of manufacture and re-stringing, they are usually forgotten as an essential part of piano maintenance! Do not tap strings too hard! For instance, a metal hammer/tuning hammer would have too much weight for this purpose, burrying the strings in the bridge (increasing drag/losing down-bearing/etc). 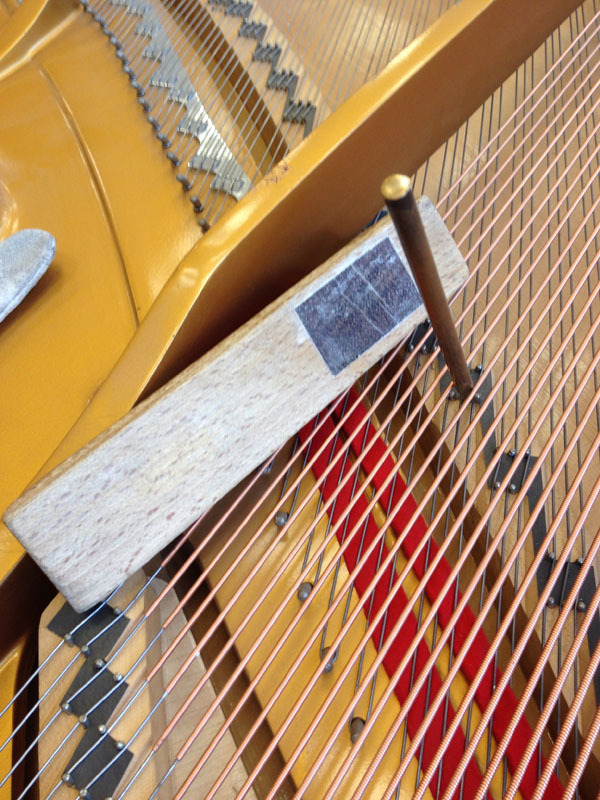 Thus I use my voicing block, which is made of Beech with an inset piece of end-grain Bubinga as the mallet head! I consider doing this as often as once a year! Recently, the procedure did not produce the expected tuning stability – so I repeated the whole process 2 months later – and the pressing thru’ left the strings 2-4 Hertz lower, revealing that pressing thru only once may indeed not be enough (I’d never noticed this before!). Incidentally, tapping the strings a second time hardly showed any change. por la misma calidad del juego mas es totalmente gratis.